Minneapolis, MN—Twin Cities’ own SLH Home Systems was proud to head off the audio video installation during the build of Bald Man Brewery’s new facility. The new location is fitted by SLH with a new Control4 system allowing the team to integrate their audio, video, and surveillance systems. The installation was a work in progress, but the SLH team enjoyed working with the Bald Man team to get their new facility ready to receive its first guests last week. As you come in to the facility, the open layout and the industrialized brewing setting are accented by modern touches. The Bald Man team wanted visitors to be overcome by all of the small details that were incorporated into the space—and they succeeded. Every detail was taken into consideration from design to the event rooms and audio quality. “We feel so fortunate to be able to work alongside them to make their dream a reality,” says Tracy Hains of SLH. SLH has just wrapped the automation system installation and Bald Man Brew was ready to receive customers. The SLH team wired the building, installed speakers, TVs, and cameras—all connected through a Control4 Automation System. Bald Man Brewing is an example of business automation used to heighten a commercial atmosphere. They will be able to control their speakers, TVs and security cameras from one remote. 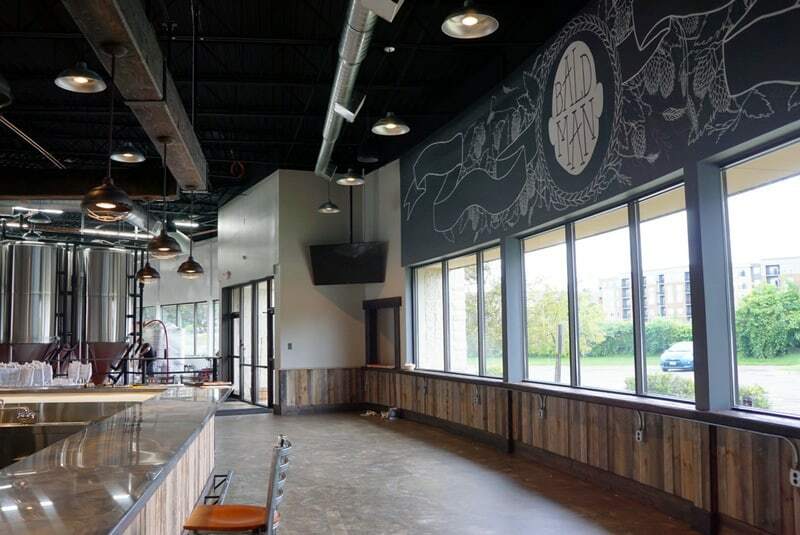 See SLH’s installation at Bald Man Brew in Eagan, MN. For more information on this installation or SLH’s automation and integration services click here.